The article reviews activities of the Russian-American non-profit organization Tahoe-Baikal Institute and describes the initial stage of its formation. 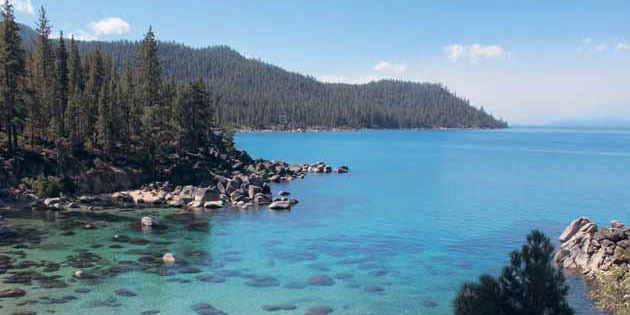 It provides the information on the important role of land use, landscape recultivation and restoration of destroyed natural sites in the Tahoe-Baikal Institute Summer Environmental Exchange. It describes the participation of ecologists and other specialists from Russia, the USA and other countries in the Institute’s programs. LYAPIN, Andrei. Tahoe-Baikal Institute: joint initiative of the ecologists of the Baikal region, Russia, and Sierra Nevada, the USA. project baikal, Russian Federation, n. 37-38, p. 124-125, sep. 2013. ISSN 2309-3072. Available at: <http://projectbaikal.com/index.php/pb/article/view/575>. Date accessed: 26 apr. 2019. doi: https://doi.org/10.7480/projectbaikal.37-38.575.